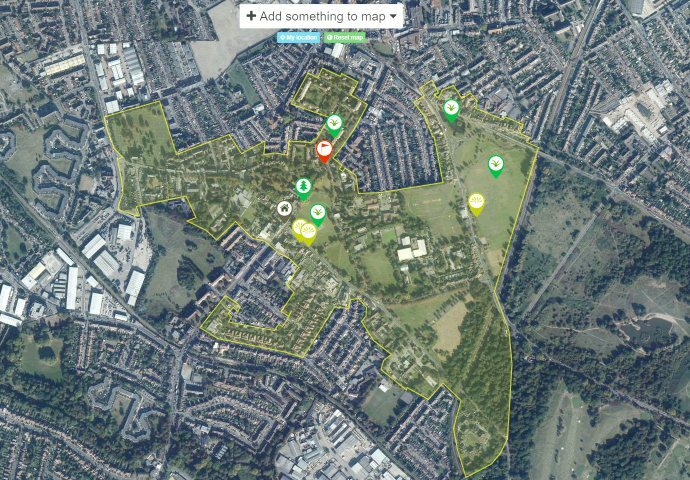 Our Civic Day event this year will tour the Canons and Cricket Green area and discuss ideas for two Heritage Lottery Fund bids being put together by Merton Council. The walk will be no further than a mile and will probably last around 90 minutes. It will be led by Tony Burton. We will collect your thoughts and share them with the people putting the bid together. This event is free and open to all – please invite friends and family to take part. Gather at 11:00 on the green opposite the Cricket Pavilion. The walk will last about 90 minutes and will end at Park Place where those who wish to can enjoy lunch. If you wish to join the walk please email to let us know. If successful these bids could bring millions of pounds into the area. We are working closely with the project manager, who is employed by Merton Council, as well as with the Mitcham Society and Friends of the Canons, to help these bids be a success. This entry was posted in Cricket Green Conservation Area on June 6, 2014 by mitchamcricketgreen.